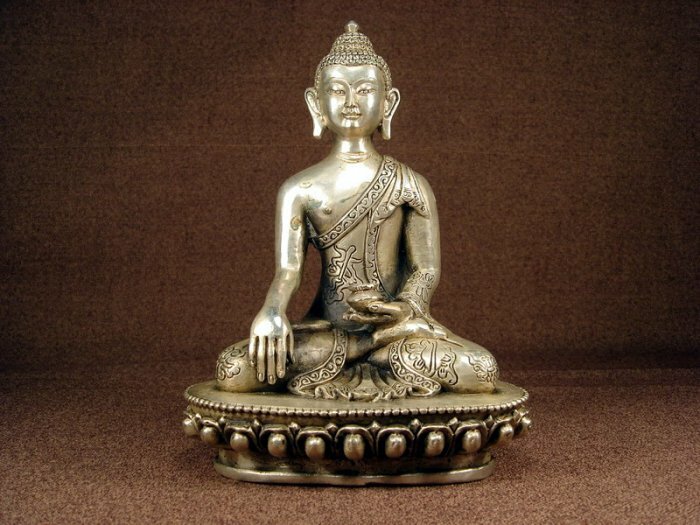 Very old elaborate Tibetan True Treasure silver authentic 18th century Sakyamuni Buddha statue. As you view in the images, the statue was Very nicely finished and complete with many fine details. Very particular and infrequent. It is a great piece of valuable collection, a valuable personal alter or a very good present. Buddha Sakyamuni (Tibetan: sha kya tu pa, sang gye, English: the Enlightened One, Sage of the Shakya Clan).